Nadira Pro Font is a handcrafted multilingual font. Nadira Pro Font is a high quality Greek hand drawn serif font, that looks formal enough on wedding invitations, but not too sketchy. It is a unique font that has a great variety of applications with multilingual support. Food packaging, restaurant menus, branding and wedding invitations are some examples of the numeral applications. 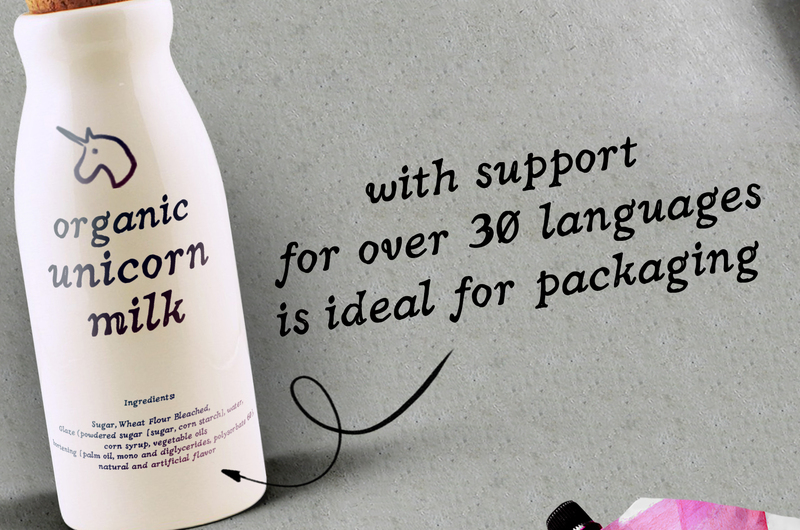 The wide range of language support of the font makes it ideal for international food packaging. 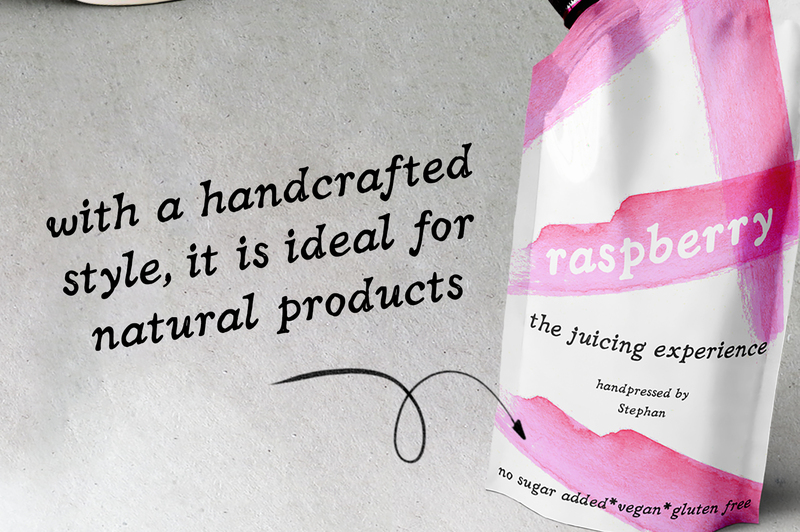 Especially if you are looking for a logo font, because of the fresh style of the typeface, it is the perfect design tool for natural organic product packaging and branding. The style of the font is shabby chic but still, is maintaining it’s legibility and balance so you can use it on small text sizes too. 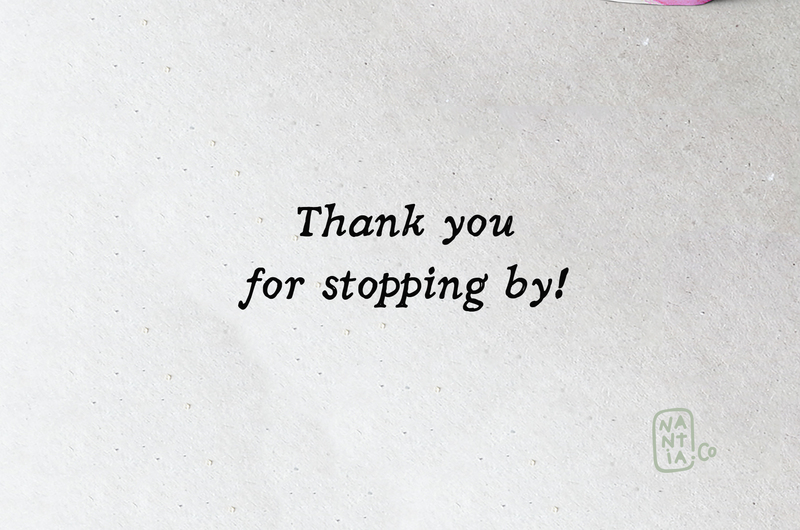 Additionally, in the past few years, Nadira Pro Font has gained popularity among wedding invitation designers. Seems like the shabby chic vibes of this wedding font can pair perfectly with handcrafted / kraft / recycled papers and the results are amazing! For a nice pair font, try out the Nadirii Pro font! Also, Nadira Pro Font supports extended Greek diacritics or Polytonic Greek. Therefore, this feature is perfect for writing Byzantine, Katharevousa and Greek-Orthodox texts, with a modern twist. Finally, Nadira Pro Font supports over 30 languages: Albanian, Basque, Bosnian, Breton, Catalan, Chamorro, Chichewa_nyanja, Croatian, Cyrillic, Czech, Danish, Dutch, English, Estonian, Faroese, Finnish, French, Frisian, Galician, German, Greek, Hungarian, Icelandic, Italian, Latvian, Lithuanian, Malagasy, Maltese, Norwegian, Polish, Portuguese, Romanian, Serbian, Slovak, Slovenian, Spanish, Swedish, Turkish, Welsh. Nantia.co has two license types (Simple License and Corporate License) available for any item you purchase through the Gumroad platform. For more info check here.